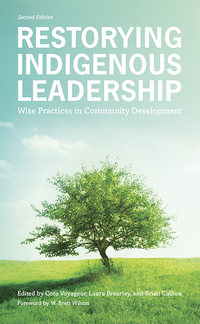 Restorying Indigenous Leadership: Wise Practices in Community Development is a foundational resource of the most recent scholarship on Indigenous leadership. The authors in this anthology share their research through nonfictional narratives, innovative approaches to Indigenous community leadership, and inspiring accounts of success, presenting many models for Indigenous leader development. These engaging stories are followed by a Wise Practices section featuring seven significant contemporary case study summaries. Restorying promotes hope for the future, individual agency, and knowledge of successful community economic development based upon community assets. It is a diverse collection of iterative and future-oriented ways to achieve community growth that acknowledges the centrality of Indigenous culture and identity.